A few weeks ago Bitcoin Magazine published a report on the launch of AKASHA, a blockchain-based social network built on top of Ethereum and IPFS (the InterPlanetary File System). 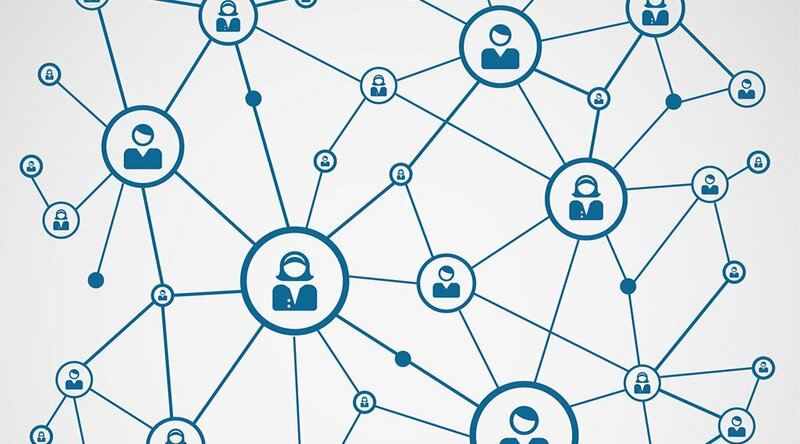 As a followup to the previous report, AKASHA CEO Mihai Alisie spoke to Bitcoin Magazine and said that the idea behind creating a blockchain-based social network came to him and his team as they were looking for ways to use existing technologies such as Ethereum and IPFS to solve bigger problems. The team eventually decided to select the issue of internet censorship as the problem to tackle, and the best way to address the issue, according to Alisie, was to build a better channel of expression in the form of a decentralized publishing platform. “It started with the search for a really big problem that could be solved now that we have technologies like Ethereum and IPFS. This is how I ended up picking internet censorship as the problem to tackle and I figured that the best way to do it is by building a better channel of expression in the form of a decentralized publishing platform,” Alisie said. Talking about censorship and how popular social media networks fail to uphold the idea of freedom of expression, Alisie said that the centralized architecture of popular social networks puts them in a situation where complying with censorship laws and regulations becomes necessary for them to stay in business. “I am not implying that there’s necessarily some sort of evil agenda at play here, but we have seen numerous times how established companies have to comply with certain requests if they want to stay in business,” Alisie wrote in a blog post. According to Alisie, the team initially worked on developing AKASHA into something like a decentralized WordPress, but the project gradually evolved into something more interconnected and social that could be compared to a decentralized Medium or Reddit. The team started developing a prototype of their platform last year using Ethereum, IPFS and the Meteor app development platform. But according to Alisie, Meteor was replaced by Electron, React and Node.js as it was not suitable for building what they had in mind. According to Alisie, when a user publishes an entry on AKASHA, an IPFS hash gets broadcasted to his or her network of followers. The IPFS hash then declares where interested people can access the content. No files get uploaded into the network until users start accessing the content. Addressing concerns raised about abusive content being shared on a censorship-free social network, Alisie said that AKASHA has a quadratic upvote/downvote mechanism similar to Reddit. So content that receives upvotes gets featured on the tags/keywords used, while also receiving ETH since it comes bundled with ETH microtransactions. The content that receives downvotes gets buried at the bottom of the keyword or tag used. But now that BTC Relay is live, Alise said that BTC could be used alongside ETH as a default token inside the AKASHA ecosystem as well. When it comes to communities or groups where a number of people have publishing rights, Alisie said that users will be able to access a “moderated view” and unmoderated view of the content. He said his team will probably come up with a better solution in the beta release while they test current solutions in the alpha stage. In terms of access speed, Alisie said that unlike centralized publishing platforms, the more people access something on AKASHA the faster it gets. “If the people who follow you (or the tags you used) read and appreciate the posted content, they ‘pin’ the IPFS content on their local machine and become similar to a BitTorrent seed. That, in turn, increases the access speed and redundancy of the content. Thanks to the peer-to-peer architecture and technologies used, the more people access something the better and faster it gets ‒ quite opposite to how centralized publishing platforms work." Comparing AKASHA to similar blockchain-based social networks like Synero and Datt, Alisie said that having multiple experiments in the areas is important as it will help drive innovation. “I think it’s important to have multiple experiments in the area of social media, and I root for each and every one of them, because the issue we’re tackling is too important for humanity as a whole to get caught in the ‘competitor’ game,” Alisie said. The company said it will be doing an alpha release of AKASHA in a few weeks, but has not mentioned any specific dates yet. Interested parties can sign up for the alpha release on the AKASHA website. Editor's note: AKASHA CEO Mihai Alise was one of the original founders of Bitcoin Magazine.